I listened, mostly, and asked her questions about what she wanted in a guy and if he fit that description. We laughed at the strange things we put on our lists, and talked about loneliness and waiting. Normally when a single woman would ask me this question, I would list off several qualities I considered “non-negotiable” and explain how I had “just known” my husband was the one. This time, however, when I opened my mouth, something different came out. How did I know he was the one? I didn’t. A few weeks after this conversation, my marriage fell apart. Or, more accurately, the few threads I’d been desperately trying to hold together to for the past few years finally came unraveled. The irony is not lost on me that this conversation happened in the way it did such a short time before my marriage ultimately ended. She and I talked in mid-September. By November my husband and I were separated. By April we were divorced. And to be honest, after the end of my marriage, I found myself feeling like I had even more I wanted to say to her back on that day in September. There are no perfect words to answer that question, but these are words from my heart and I thought maybe they might help. So Grace—this one is for you. I don’t have all the answers, but here’s what I’m learning. You may be asking the wrong questions. It’s not hard for me to remember what it’s like to be on the dating scene—especially now, since instead of starting a family this year like I had planned, I am starting over. I know it’s stressful at times and you’re trying to “figure people out” and no one is saying the things they want to say and you’re wondering what he’d look like in a tux and if he’d fit in with your family. How do I feel about myself when I am in this person’s presence? Spend less time trying to beef up your own dating resume (all the things you think make you appealing to a person who might want to marry you) and more time wondering if you’re the kind of person who is open to a real relationship. Can you tell him what you think—even if it will hurt his feelings? Are you able to let your guard down in front of him? Are you able to hear what he has to say—even when it’s difficult? Do you tell him how he makes you feel and is he able to receive this? Do you enjoy his company? Would you rather be with him than by yourself? We spend so much time worrying about the details of a person. How much schooling have they had? What is their job? What kind of car does he drive? Do I like her style? It’s not that these are bad questions. It’s just that we can get lost in the details when details can be easily manipulated. How do I feel about myself when I’m in his presence? My ex-husband and I got married quickly. Very quickly. And if I had it to do all over again—if I could go back—I would have just given us more time. We needed more time. Think about a flower, or a plant. You cannot yell at it or rush it or do anything really to make it grow faster. It just needs time and space and water and good soil and lots of attention and care to grow. You relationship will grow in its time. You cannot rush these things. I’m not saying endless amounts of time will automatically make things clear that are complicated. It won’t. What I am saying is that, if you don’t feel ready to decide yet whether this guy is “the guy,” then you aren’t ready to decide. Cut yourself some slack. Give yourself the time you need to bring clarity to your situation and clarity to your heart. It will be a different amount of time for everyone. No need to beat yourself up for the amount of time you need. And look, I know you’re getting older every day and more and more of your friends are getting engaged on Facebook and it feels like you are the last one and you’re going to get left behind. I know there is a chance that if you wait “too long” you will miss your chance. The person you’re dating might just walk away. But listen. You cannot mess this up. And most of all, time is always, always on your side. Dating is not about finding a husband or wife. I spent most of my dating life thinking this whole thing was about finding a husband. It wasn’t until after I was married I realized I had mostly missed the point. Dating is incredible practice toward a good marriage. But finding the “right person” is not the point. Who you are becoming is the point. Dating is not a weird holding cell or mandatory waiting period before the reward of your real life. It is your real life. The people you date are your teachers (and you are theirs). So in other words, the happy relationships, the hard ones, the confusing ones, the pushy guy, the wishy-washy guy, the controlling woman, the afraid-of-commitment woman, the time you find yourself losing your temper for no good reason, the disagreements, the butterflies… all of this is your teacher. Learn to speak your truth. Along these lines, one major thing I wish I would have practiced more while I was dating was honesty. Difficult, brutal, terrifying honesty. We spend most of our time dating trying to veil the truth, to dance around it, trying not to say anything that will make us too vulnerable, or hurt anyone’s feelings, or make us seem “too forward” or trying to follow some arbitrary set of rules. What’s better than finding a spouse is learning to be at home with yourself. A year ago, I was the girl who judged people for getting divorces. Ugh, it feels so awful to write that, but sadly it’s the truth. I didn’t know I was doing it. A few of my friends had been through divorces and it wasn’t like I sat around thinking they were terrible people—I didn’t. But I did find myself thinking, on occasion, about how that would never happen to me (judgement is sneaky like that). Divorce was not an option for me. I was strong, I told myself. No matter what happened, I would fight for my marriage. And I did fight. Even when things got worse than I could have ever imagined they could be, I kept fighting, kept telling myself that if I could only fight harder, I could save us. But the end of a relationship, I have learned, isn’t always the result of a lack of fighting. Sometimes the strongest thing we can do is to let go. Notice how quick you are to judge your efforts by your outcomes in life—and how truly damaging this can be to your soul. I hope this is an encouragement to you in the dating process, more than a caution. You cannot and will not get it all right. Putting that unrealistic expectation on yourself not only sets you up for disappointment, and doesn’t leave room for the magical and mystical and miracle in your life. Did I want to get divorced? No. This is not the story I asked for. It is not what I dreamed about. But it is also not my end. Give yourself permission to make mistakes. To not know everything. You are a beautiful, amazing, remarkable work in progress. Be honest about red flags. Most of us are trying to look for a person with no red flags, when the truth is we all have red flags. Literally every single one of us. If you think you are in a relationship where there are no red flags, there is your red flag. Someone “without” red flags is just good at hiding them. Here are some that would catch my attention. Do you find yourself giving constantly giving up what’s most important to you? Giving up hobbies? Friends? Dreams? Are you canceling your own plans for the sake of his? If this is the case, I would ask yourself: why? I would also ask: is this my choice? Is it a choice I really want to make? Why can’t I bring my whole self into this relationship? His friends don’t like you. Or you don’t like them. Or he doesn’t have many friends. Have you asked the people who are closest to him what they think about him? What do they love about him? What have their biggest fights been with him? What would they consider his greatest weakness and greatest strength? If you’re lucky, you might even get to talk to an ex-girlfriend. It’s a myth, by the way, that an ex-girlfriend would only have negative things to say about him. What would happen if you asked her, “why didn’t things work out for you two?” It’s all just information. You can do with that information whatever you want. None of it has to be conclusive. It can all be helpful. He won’t talk with you about the things that matter to you. Are there certain conversations that are “off limits”? Does he use anger or violence—or even threats of violence—to shut you down? Do you feel like your thoughts, opinions, emotions are important to him? Does he really hear you? If you are afraid of a person, or if you can’t communicate clearly and openly, you cannot experience an intimate connection with them. If you don’t seem “like yourself” when you’re around him—or, if your friends or close family members are communicating to you that they don’t recognize who you are becoming—this might be a good time to take a pause. It’s possible that the person you’re becoming is who you want to become. But if that’s the case, he won’t feel threatened by having that conversation with you. If he flies off the handle or threatens you, or if you have a conflict that gets out of hand, or if you’re wondering why he’s so secretive and private… do you find yourself excusing the behavior and the problems and the conflicts? Rather than excusing concerning behavior, ask some questions. A therapist once told me that she was much less concerned about what a person does than she is about what that person thinks about what he or she does. What does your partner think about the behavior you see that is concerning to you? If you are willing to ask the question, you might very well get the answer you need. The One you are looking for might be closer than you think. I learned quickly after my husband moved out of the house that my problems did not disappear because he was gone. While we were married, I complained that he was critical of me, but after we split up, I would walk around the house and listen to the voice inside my head say things about myself that were at least as hurtful as the words that had come out of his mouth at one time or another, if not worse. You’re so stupid, how could you possibly think that? Who would ever want to date you? I would go almost a whole day without eating and then suddenly realize starving myself was ignoring myself the way I had always accused him of ignoring me. So I made the conscious decision to become the very best partner to myself that I could possible be. I know that sounds weird. But this is really what I did. I would think to myself: if I were dating someone, or married to him, how would I want him to treat me right now? Then, I would treat myself like that. That’s what I would have wanted a partner to say to me, so I started saying it to myself. When I couldn’t fall asleep at night, and I would wish there were someone there to comfort me, I would ask myself what I wished that person would say to me, and I would say those things to myself. My point is that, while it will be nice when someday, someone comes along who you can share your life with, for today (and even after that person comes) YOU are the one. You are the one who has been ordained to take care of yourself, to speak kindly to yourself, to provide for yourself, to feed yourself, to encourage yourself, to be “the one” for you. This is the hardest task you will ever undertake. Harder than finding a spouse, believe it or not. But you can do it. You are brave and strong and beautiful and so worth loving. I hope you don’t have to go through a divorce. Truly. But I also want you to know that even if you do go through a divorce—or another kind of heartbreak all together—you are going to be okay. You are powerful and resilient and incredible and not a minute is wasted. Not your dating life, not your married life, not your post-married life. Right now, a beautiful, imperfect, magnanimous, totally resilient version of YOU is busy unfolding. This is beautiful and deeply insightful and so very helpful. Thank you for your courage—I know you are bringing healing and freedom to many. Thanks Muku! So glad you liked the article. Thanks for reading. Ali, this is just so good. Thank you so much! So glad you like it Whitney! Thanks for reading. Thanks for that Tony. I feel the same way about taking advice from people. I’m sort of skeptical of anyone who seems to have it all figure out. Thanks for reading. Glad you found it helpful. Allison, thank you for this. Thank you for pouring yourself out and into these words. I am so sorry for your loss. I know how hard and heavy that may be. Keep being good to yourself. Never stop doing that. Thanks Aubrie. You do the same! So glad Leah! Thanks for reading. Allison you nailed so many good points here. 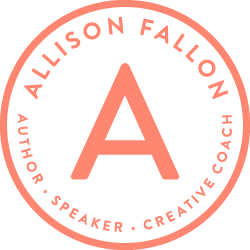 …..Learning to speak (and I’d add and listen) to your own truth. All of these are so very true! Thank you Marcy! So glad you found it helpful. Ally – thank you for writing this. such beauty and strength and truth telling in your words. I am sharing this with my boys (man-childs) – my hope is for them to find someone where they can be there true selves – scabs and all and tell their journey together. Appreciate you and your heart! Thank you Tara! Yes, I’m so glad you’re going to share it with your boys. Even though I wrote it specifically from a woman’s perspective, I wanted it to be applicable for both men and women. Hope they enjoy. Thank you for reading. Wow, this is full of so much wisdom. Thank you for sharing your heart with such grace!! Thank you Karly. So glad it was helpful. Thanks for reading and sharing Renee! Yes, yes. Time is such a good healer. Thanks for your words Anne Marie. Appreciate you. Thank you for taking the time to create this. You always manage to bring a valuable insight(s) I’ve never heard anyone else make. Thanks John. So glad it was helpful. This is exactly what I needed to read tonight, and so I thank you for writing and posting it!! I’ve been having such a hard time lately (and for years) with a relationship that seems to keep failing over and over again. I keep wondering which direction I need to go in, but neither direction seems to give me peace. I absolutely love what you said about telling yourself the things you wish someone else would. I tend to sometimes be hard on myself and think there must be something wrong with me to still be in the situation I’m in, but I know that’s not the truth, and I need to be kinder to myself. Also the “what is for you will not pass you by” and “there is no such thing as missing your own boat” parts were so encouraging to me. Thank you, Allison! So glad it was helpful, Lynn. It’s amazing how each person we encounter in life has something to teach us. If you can figure out what this relationship or person is here to teach you, the answer to “should I stay or should I go?” may become obvious. Also—two great books I would recommend if you’re deciding whether to stay in a relationship or leave. One is called Necessary Endings by Henry Cloud. The other is called Too Good to Leave, Too Bad to Stay by Mira Kirshenbaum (not sure about the spelling of her name). This is great Ally. Particularly love the part about being to yourself how you would want your partner to be to you. That’s good for the soul. Thank you for sharing. Thanks for sharing this Allison. I loved this, Allison. Some great truths to think on. I do enjoy reading your blog. It is always insightful for me because you are so transparent. Thank you for that . I too , love Henry Cloud. One of his books was a life changer for me. Thank you for reading Pam! So glad you continue to find the content helpful. I just forwarded the email you sent me with this article to my daughter. Here’s what I wrote: Please, please read this blog post and take to heart her words. I wish I would have done these things and found value in myself before getting married (both times). Not that God can’t redeem the situation when you find yourself in an unhealthy relationship, but there is so much heartache and pain that could have been avoided. I have a 19-year-old daughter that has only had glimpses of what a healthy marriage should look like. She is going off to college in August and I know there’s a good possibility she will be dating some guy in another state. This freaks me out a little because she’s never had the best self-esteem and it is really hard for her to be strong when faced with emotional/mental/verbal abuse (I guess it’s hard for anyone). Anyway, if she could take to heart some of these ?’s that you have included to ask yourself while you are dating, I think it could be so valuable. Thanks for being so vulnerable and open. It truly changes lives. Julie—thank you for reading and for passing it on. I hope your daughter finds it helpful. To what you said about abuse, you’re right—it is hard for ANYONE to deal with ANY kind of abuse, but someone who has an under-developed sense of self-confidence is going to be particularly vulnerable. In fact, often these people (often women) are like magnets for men who know they can take advantage of them. I know your daughter will find her way. Hopefully she can avoid too much heartbreak in the process. I am teetering on the edge of divorce. Thank you x 1000000 for writing and clicking the publish button on this. You are so so welcome. Wishing you strength and peace and love and all the best. It’s amazing to me how resilient humankind can be. Ally, there’s no thanks deep enough for your letting us into your journey a little bit. I feel like I’ve learned so much from you over the last year. Your writing always makes me take a clearer look at myself and my life. Thank you so much for that. Thank you for reading Lacey. Truly. Appreciate it. So thankful that you found encouragement in the words. “We do not control outcomes. We do, on the other hand, control attitudes and responses decisions about how to move forward.” <—– needed to hear this today! Thanks Ally. So glad Andrea! Thanks for reading. Ally dear, you’ve done it again! Permit me to say this is simply: spirit-to-spirit communication. You unearthed a lot of germaine truth, thank you. From the bottom of my heart I sincerely say thank you and I wish you what you wish yourself, cheers. Thank you so very much for reading. Glad you enjoyed it and found it helpful! Allison, thank you so much for this. I am now going through a recent separation from my husband at not even 2 years yet. It was not my decision and I didn’t know what to feel after it happened, some days, I still don’t know what to feel, but reading your article was very helpful and assures me that everything truly is going to be ok. Thank you for such an amazing article and sharing a part of your life with us! Andi—thank you for sharing and I’m so sorry for what you’re going through. Whatever you’re feeling from day to day, I just want to say it’s okay. Grief is messy and confusing and sometimes it can be a bit surprising. You may feel angry and also in love and also brief moments of happiness or joy. Whatever you’re feeling, give yourself permission to just feel it. It’s all there for a reason. It is your roadmap. You are stronger than you know. Much love to you. Thank you so much for writing this. I am going through all of that right now. The part where you said that you are not becoming who want to be and everyone is noticing your someone else. Is very true for me. I would defend everything the way he would talk to me I would defend. I’m happy to know this does happen to other people and I know I’m not alone. I can’t even count how many times we tried to fix it. I always wished I would of waited and got to know him for who we both were and not just jump into a marriage. Miranda—no, you are not alone, and you do not have to put up with someone verbally (or otherwise) abusing you. That’s all I want you to know. You are allowed to put your foot down and tell him (or anyone) he’s not allowed to treat you that way. Sending so much love and light your way. Much love to you. If I had to sum up the most important quality in a potential mate, it is whether he is KIND. Is he kind to strangers, kind to friends, kind to work colleagues, kind to family? You can assess a lot about a person’s character and core values by just observing how he treats others. Is he short tempered, sarcastic and dismissive of those serving him or attentive, compassionate and tolerant? Do you cringe when you hear him speak harshly and with judgement to or about family and friends? Pay attention as you will eventually be treated in the same way. I think it was Maya Angelou who said that the first time someone tells you who they are, believe them. “You can assess a lot about a person’s character and core values by just observing how he treats others.” This is so true. Also love that Maya Angelou quote. So so good. Excellent advice that I had to learn the hard way. After my 20 year marriage ended unexpectedly, I was so vulnerable I ignored the red flags in a horrible rebound. Then I had to climb out of a deeper hole than the divorce created and learn to love myself again. It took 5 years of not dating anyone to be ready for the surprise of my life. When I was 55 years old, my high school sweetheart found me when the time was perfect. (I’m writing a book about it.) One of the best things he told me when we were dating again was, “no questions are off the table.” When I told him I was doing a background check on him, he asked how he could help and gave me all his numbers. Be yourself. Be honest. When the time is right, life can surprise you! Wow, what a beautiful story JoAnne! So neat to hear how love has come back around for you. Thank you for sharing. And for reading. Wow! That was so good. My husband and I were also separated in November and divorced by April…. I also judged people who got divorced before I got divorced…. I really needed to read this because I’ve been struggling with all that you’ve talked about. Thank you for your honesty and vulnerability. I’m so sorry to hear about your divorce. It’s not easy. Glad this post was encouraging to you, though. Sending you light and love. Thank you Ally. I was married for 10 years to my college sweetheart and the signs were all there that it was the wrong relationship from the beginning, but I ignored and excused them. Afterwards I lived alone for 5 years and learned so much about self care. I used to hear the voice of my favorite aunt Betty, telling me to eat, rest, get outside, etc…all the good healthy things to get me through. And when I knew I was content and happy on my own, love came into my life and I’ve been happily married now for 8 years to the dearest, kindest man I know. My failed first marriage and years alone were simply my north stars, pointing my way forward. Best wishes to you and God Bless! That’s so beautiful Kate. Thank you so much for sharing! Thanks for sharing from your heart and for always being brave about being vulnerable. A guy whom I loved very much broke my heart many years ago because he couldn’t accept me the way I am. And I’m still healing today. Thank you for sharing the lessons you’ve learnt; it’sencouraged me tremendously (: Lots of love from Singapore. I’m so sorry to hear about your heartbreak. Nothing about that is easy. Thanks for reading and I hope you found some encouragement here. So I *really* didn’t expect to like this post, but I didn’t delete the email, either. And then I decided to click over tonight to skim it so I could delete it with cause, and then I read the whole thing and found it insightful, useful, and timely. (I’m semi-fresh off the ending of a 20-year relationship.) In particular, the most powerful parts are the red flags list–nothing I didn’t already know, but a succinct and clear refresher–and THIS: “Then, I would treat myself like that.” Huge, my dear. Thank you for this. I’ll be rereading this in days to come. I always love the “I expected to hate this post” comments 🙂 haha. Thanks for sharing and for reading. Appreciate your comment and so very sorry to hear of the end of your relationship. May you be surprised and filled with joy by all that is before you now. Thank you Matt. Appreciate that. There really is so much beauty, even in the midst of grief. Thank you for this Allison! Your honestly and vulnerability during this process is so brave and generous. Thank you for allowing us to benefit from your experience. There was so much I appreciated in this post, but what I valued most was your encouragement to be our best partner to ourselves. This is so necessary whether we are married or single. I am an encourager, but I often forget to encourage myself. I love to take care of others, but I take lousy care of myself. I am gracious and forgiving of others but I can be so hard on myself. This was an important reminder for me that I need to take better care of me. Thank you for staying brave and generous and honest. Please know that God is bringing fruit from your pain. I think this is true for so many of us. I know I identify. The most important person we can learn to care for is ourselves, because when we are well-loved, we overflow that love to the world. Allison. Loved this. Can I ask you if he treated you poorly before marriage? The problem I have (and now is a fear of other young women around me) is that during the two years of dating he was on his best behavior and seemed to be a loving, kind, generoys, supportive partner. It changed after marriage. If he was mean to me or dismissive of me in the dating stage, I would have walked away easily. What would you tell women who are afraid of the plunge into marriage because they can’t trust the version of the person they are dating? First, I’m really sorry for what you’re walking through. I don’t know what exactly you mean when you say he is “mean” to you, but I know it’s heartbreaking no matter what the specifics are. It feels important for me to say (not only for you but for anyone reading) that if you’re unsafe physically or emotionally, you need to create some distance between the two of you so can both get the help you need. Second, I’ll say that if you’re concerned about his behavior in your marriage, I would maybe seek some support from a therapist or trusted mentor who you can share the whole story with and brainstorm solutions and a way forward. Maybe even bring your husband into that with you if he’s willing. You don’t have to stay stuck. There is freedom for you. You’ll find that you have much of your own work to do in this process, but there is freedom. Sending lots of love and light your way. All the best to you. Speaking as a guy in his first relationship, trying to figure out what I’m supposed to be feeling, this was really uplifting and helpful. Thank you. I’m so glad David. Thank you for reading! Last week I had the opportunity to finish “Packing Light” on vacation (finally). I want a sequel! Or at least another book. I love your writing, and your heart. So glad, Ashley. Thanks for reading and letting me know! So, so good Ally. Thank you for writing this! allison, i didn’t like your blog that much as i like now that you’re divorced. don’t know how to explain, but there’s a different beauty here that you couldn’t see before. Lord, i thank You for allison’s life, she’s been a blessing to me! Beautiful and powerful words. Vulnerable. Honest. Humble. Thanks so much for sharing. I like how you shared that it wasn’t your job to solve the problem. Your job was to do your best and leave it all on the field. You can look back now and be confident that you gave it your all. There is a peace in that. Grace and Peace to you! I nthe echo of many others, thank you for this. I find even for married people, the questions and considerations are insightful and helpful. We all have to take inventory of where we are and take responsibility for where we want to be and how we will get there. I am sharing this with mu marriage group. Best wishes for light and love to continue to heal your heart. Thank you so much for sharing your story. After 8 years and 3 kids, he never married me. In fact, he basically ignored me for the last 4 of the 8. I broke it off for many reasons; only to find that we couldn’t live without each other. We were separated for a year and have grown individually during that time. We’re both extremely better versions of ourselves. Now, the kids are happy; we’ve never been more happy and close.. I agree with you: give yourself time. Time was certainly in our favor. I also used to (quietly, quietly) judge people who got divorced. And then it started happening to my friends. And it nearly happened to me (and let’s face it, it still could). I had to leave, and I did, and that seemed to be the catalyst to fix things – I wholly believe letting go is the hardest and strongest thing one can do. Thank you for writing this! 3 years ago, after 28 years of marriage, I went through a divorce. Now, even 3 years later, I still hear his voice telling me I am stupid, an idiot or crazy and often hear myself echoing these words in my head to myself. I am now with a new man and am figuring out what I will and will not tolerate in a relationship and am learning to speak up for myself rather than let fear rule and stay silent. I am a work in progress as is this relationship but I can say I am finding happiness. Reading your words helps me to believe perhaps I am on a better track this time around! Thank you so much for sharing this. I’m often so impressed by your vulnerability and ability to thoughtfully and intelligently articulate really hard things — things that often render us unable to string together a sentence. I’d add that learning how to be the best partner to yourself is helpful in a marriage too. I mean, in a marriage, fighting for independence rather than interdependence might not be super helpful, but even when you have a partner, they’re often not able to give you everything you need (I’m sure you know this, too). I can’t count on my partner to be everything to me. Sometimes they just can’t give you what you need in the ways you need it. And while he wants me to take care of myself and feel good and safe in his presence (which is a brilliant thing to check in with oneself on), he also can’t fix the hypercritical voices or the anxiety or the feeling stuck or the forgetting to eat etc etc. If I learn to take care of myself in these small ways, not in an independent “I’ll just do it myself” kind of way, I also become happier and more whole, and a nice byproduct of that is becoming a better, happier partner, who is able to give back more than I’d be able to otherwise. Being a good partner to yourself isn’t just for now — it’s for later too. Well said. Every last drop. Thank you for pouring your heart out in this post and reminding us of what truly matters and to ask the right questions. thank you so much for this… there is so much wisdom here… and so much… help for a hurting and confused heart. I’m sorry for your pain, but thank you for sharing and giving of yourself. Thanks for this piece. A lot of original insights here that will be helpful to those of us limping around with broken hearts. This is truly amazing and one of the most refreshingly honest while painful conversations I’ve read. Dating/marriage/”whatever you want to call it” advice is all over the place and usually focused on all of the wrong things and feelings. Feelings do play a huge role but it’s important to know which ones. Thank you for your honesty and not being afraid to share it. I needed to read this. I broke off an engagement earlier this year and am dealing with the fallout of my mental health, heartbreak, and growth. You’ve put to words the truths that I am working to remind myself of daily. Thank you! Thank you so much for sharing Allison! This spoke wonders into my soul and help me make the difficult dession to end an unhealthy relationship. I haven’t told him yet seeing as how I just read this lol but I’m feeling much better about where my heart is. So thank you for being strong and honest and sharing this to help so many other. Thank you thank you thank you and keep up the good work.